The moon will turn red tonight, Is the end nigh? An awe-inspiring blood-red “supermoon” will cast its eerie light on the Earth early on Monday, creating an atmosphere of wonder and fear across the world. When the moon is at “perigee”, its shortest distance from the Earth, it is 226,000 miles away and appears 14 per cent larger and 30 per cent brighter than when it is at its furthermost point. This astronomical event last occurred in 1982. 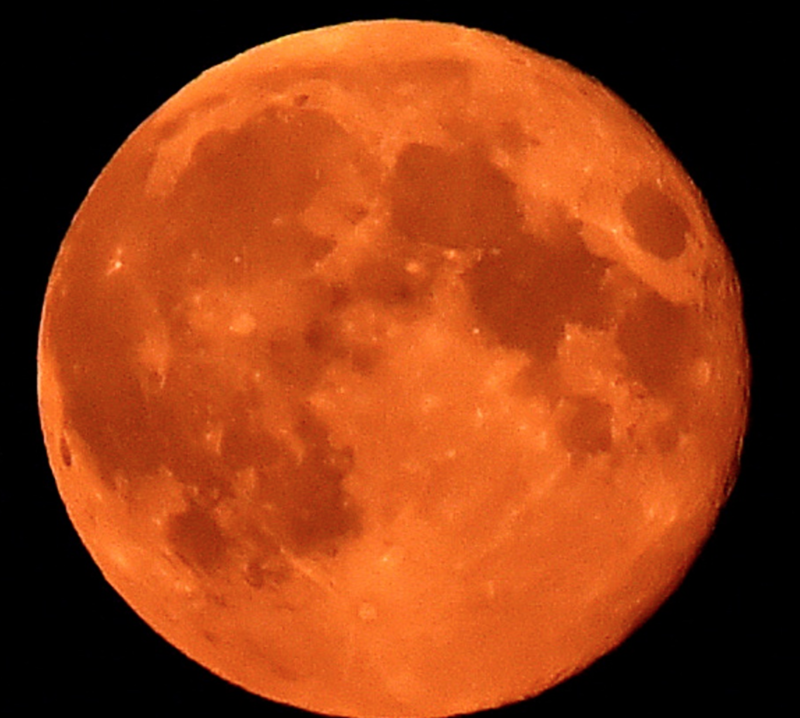 Weather permitting, the large red moon will be visible across the whole of Britain from 1.10am BST on Monday morning. At that moment, the Earth’s shadow will start to creep across the face of the full moon, causing it to dim and take on a yellowish hue. At 3.10am BST, the moon will be fully in Earth’s shadow, and for an hour and 12 minutes will turn a dark rusty red, or grey depending on surface conditions. The whole spectacle will be over by 6.25am BST Monday. The eclipse will also be visible from some parts of North America, South America, West Africa and Europe. If you’re planning on capturing the astronomical event, we’d like to to see your pictures. Share your photos or videos – and tell us when and where you took them, by clicking on the ‘Contribute’ button on this article.